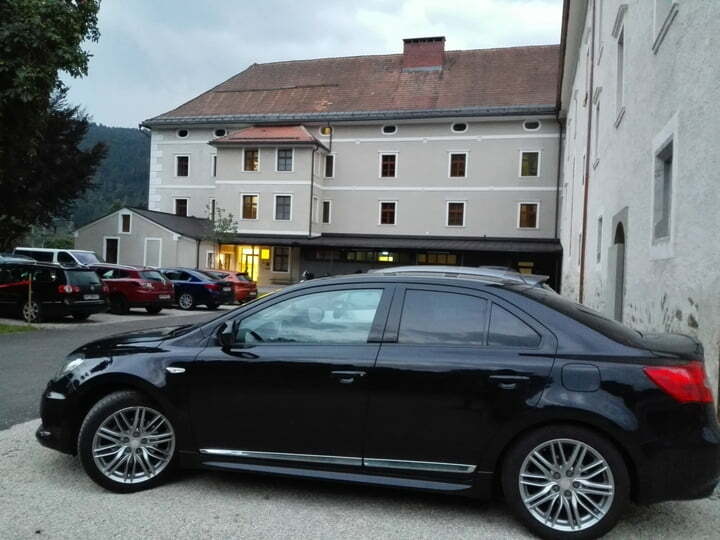 So I went on holiday to austria..have driven about 3600km @ average of 7.3 l/100km (32.2 us mpg / about 38 uk mpg). The kizashi did a good job. Its dirty now so gonna clean the car @ daytime. Replaced the sparkplugs today with NGK-R irridium (SILFR6A11*5468*). The kizzie has 121000km on the odo and I dont know when/or they are done previously. These type irridiums are ment for 100000km as far as I know. Also ordered some filters&oil but I am waiting for the oil. Yesterday I replaced a "festoon" bulblight from the licence plate. It works fine now but its not in exact same spot as the one on the other side...normal???? I also orderd some festoonLEDs from the WWW but it takes to much time to receive these. Tom Kizzie wrote: Yesterday I replaced a "festoon" bulblight from the licence plate. It works fine now but its not in exact same spot as the one on the other side...normal???? Festoon bulbs come in a range of sizes. The holder in the housing works like a spring so it will hold a range of sizes if similar enough but is specified for a certain size. Perhaps this is why your bulb isn't positioned like the other one. I've replaced both of mine to LEDs years ago with some I bought in Japan. They work great but are a little too bright for the purpose and illuminate the road behind the bumper. It's because the ones I got were intended for interior lighting. One thing I can say from experience is that it pays to get name-brand quality LEDs. The cheap ones flicker and junk out over a short period of time. The name brand ones have consistent performance for years. Thnx 4 your message. The bulb is the same size. It took 2 minutes to come to the bulb but 15minutes of impatience to replace so when the new bulb was 'stuck" and it worked i was satisfied but then i saw that the bulb on the other side was further back (when you look if trunk closed). When i stand @ the back of the car with lights on it isn"t really noticable so no problem i guess. Today i"ve changed the engine oil and filter. - Fill up with. Run engine 2 minutes then stop and check oil level . Fill little xtra if needed.